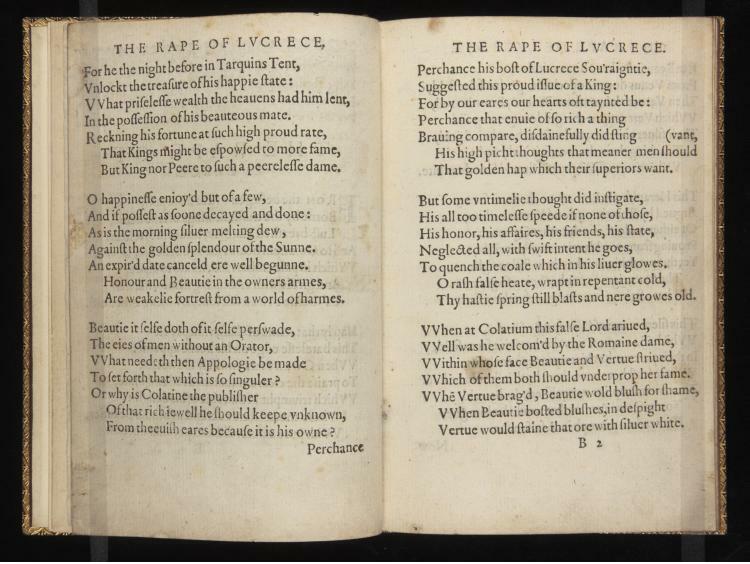 As the sixteenth-century writer Gabriel Harvey took note, Shakespeare’s poem Lucrece offered a high-minded and tragic companion to Venus and Adonis: “The younger sort takes much delight in Shakespeares Venus, & Adonis: but his Lucrece, & his tragedie of Hamlet, Prince of Denmark, have it in them, to please the wiser sort.” While the earlier, more popular poem takes its time depicting its lush and prurient domain, Lucrece by contrast sustains a more somber tone on the way to its Titus Andronicus-like conclusion. 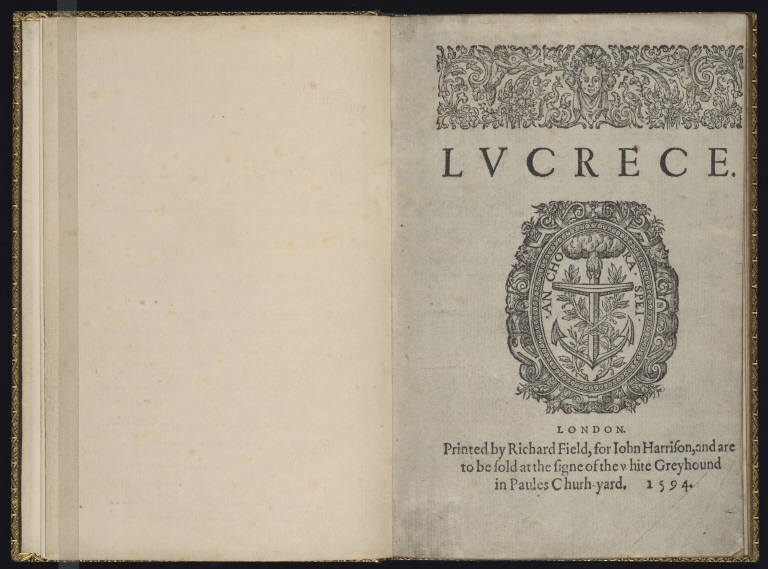 A mere pamphlet–usually as quarto, occasionally as octavo–was the only form Shakespeare ever lived to see his writings take; the ease and relative economy of their printing, distribution, acquisition, and discarding gave the writings they recorded a relative lowness of value, akin to our magazines or newspapers, when contrasted with the more durable pages of a folio. What to make of this? 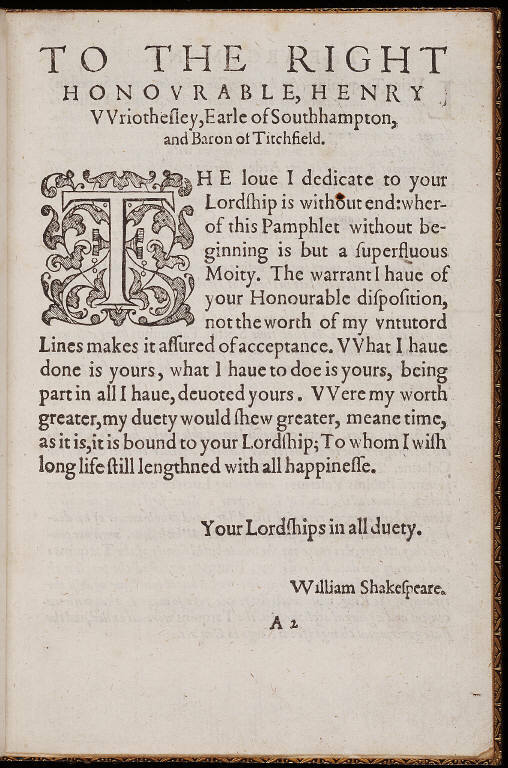 We might take Shakespeare’s passing comments on the material conditions of his poetry are provocative, suggestive perhaps of the mindsets such material conditions could produce in the people who used them; and yet elsewhere Shakespeare seems undaunted by the facts of the paper he used. 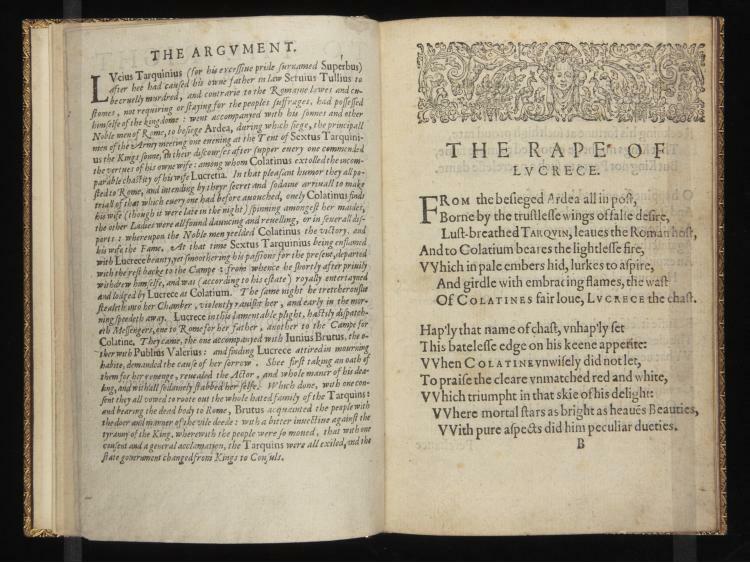 The speaker of the sonnets, for one, boasts frequently of the centuries he expects his poems to last—an ironic claim, given the flimsiness of material, or a grand ambition for superfluous pamphlets?